So Many Puzzle Brands, So Little Timex! After a few months off to rest up and recharge our punny brains, on Monday we were happy to announce the return of our monthly Puzzle Hashtag Game! And today, I’m posting the results of our #PennyDellPuzzlyBrands hashtag game! 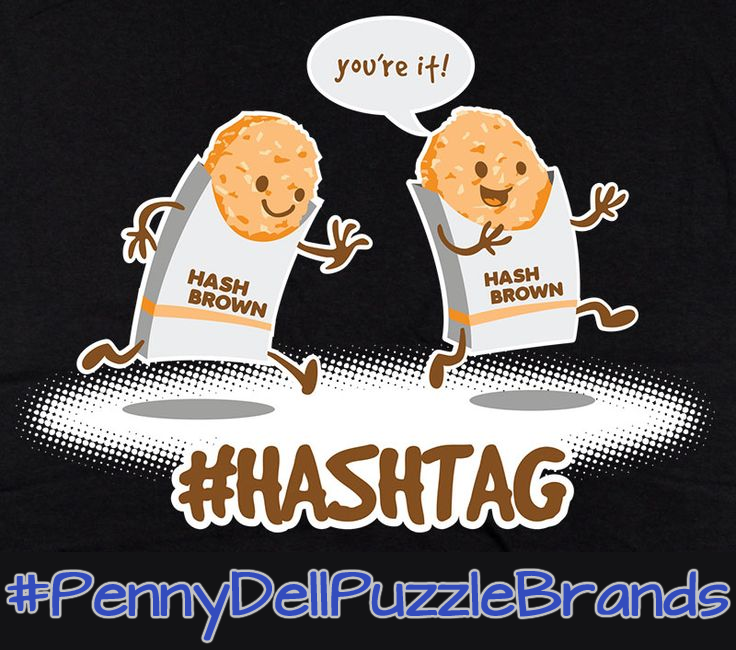 For over a year now, we’ve been collaborating on puzzle-themed hashtag games with our pals at Penny Dell Puzzles, and this month’s hook was #PennyDellPuzzlyBrands, mashing up Penny Dell puzzles and products, companies, and slogans! Examples include Pep-say that again, Dorito the Nines, and Campbell’s Alphabet Soup! HeinekenKen – You can finish the beer or the puzzle, but not both. A DeBeer’s Diamond Mine…Where A Penny Puzzle is Forever. Have you come up with any Penny Dell Puzzly Brands entries of your own? Let us know! We’d love to see them!